swimming pool maintenance. By keeping the water chemistry balanced in your pool, you will be able to ensure that your pool is clean and inviting for your family and guests. Read on for a closer look at how to test your pool’s water. The Langelier Saturation Index Calculator, or LSI, is a method for determining whether your pool may be prone to developing chemical scaling. The term chemical scaling is used to describe any sediment or buildup that is created by too many chemicals in your pool. To calculate the LSI of your pool water, you will need to measure the pH, conductivity, dissolved solids, and alkalinity of your pool. If your results suggest that your pool is at risk of scaling, you will need to balance your chemicals. 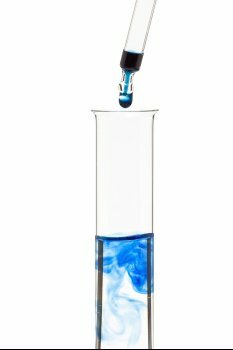 If you are seeking the most crucial test for your swimming pool water , you may want to perform a pH test. The pH of your pool is a measurement of the total acidity of your water. Since a pool with a high or low pH will not be inviting for swimmers, this is among the most important measurements that you can perform as a pool owner. To prevent corrosion and other issues in your pool, you may also want to perform a test for calcium hardness. With a calcium hardness test, you will measure for the amount of dissolved solids in your pool water. Your pool maintenance company can perform this test on your behalf. All you will need to do is supply a pool water sample to your pool technician. Maintaining a swimming pool is no easy task—at least not for pool owners. Swimming pool maintenance and repair professionals in Salt Lake City can maintain proper water chemistry and fix any other issue you encounter as quickly and efficiently as possible. Not only will this save you a lot of time in the long run, but it may also save you a lot of money by helping you avoid major pool problems in the future. Watch this clip to learn about the benefits of hiring a professional when dealing with issues regarding your pool. As you can see from this video, it’s important to hire a pool professional for all your pool care needs. Even if you’re dealing with a minor problem that you can fix on your own, a pool professional can identify additional problems that you might not have been aware of. Pool maintenance and repair professionals are also insured, which means should anything go wrong while your pool is being serviced you won’t feel it in your wallet. If you own an in-ground swimming pool, you will probably encounter a large number of water and surface problems. While there are pool maintenance and repair professionals in Salt Lake City who can handle all your pool issues, some water and surface problems you can handle yourself. Here’s a look at some of the most common pool problems and how to go about restoring your in-ground swimming pool. If you can’t get your pool in shape, bring in a professional pool contractor or pool maintenance company. 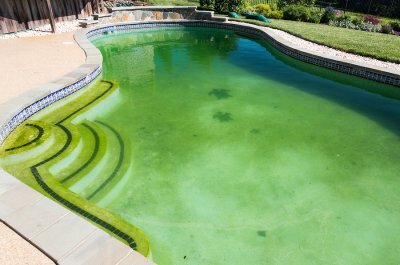 Whether its green, black, or mustard colored, algae can make your pool look unpleasant and uninviting. Low sanitizer, improper water balance, and poor water circulation are often to blame for algae growth. Brush away algae, test the water’s chemical balance, and add algaecide as needed. pool company to inspect the pump and filter. Scale is another unsightly problem that can affect in-ground swimming pools. If you notice a grayish or tan buildup on the surface that is difficult to brush away, you are looking at scale buildup. Scale is almost always attributed to improper water balance, specifically high total alkalinity and/or calcium hardness. You may also commonly encounter black, green, turquoise, or brown spots on the bottom of your pool that do not brush up. These can be metal stains, tannic acid, or even fungus and mold beneath the pool liner. If shocking the pool doesn’t help, you may need to bring in a professional pool maintenance and repair company to drain the pool and thoroughly scrub the surface. It only takes seconds for tragedy to strike when children and swimming pools are involved. That’s why everyone is encouraged to focus on child safety elements when designing an in-ground swimming pool. Make sure your pool fence at least four feet high and has a self-closing, self-latching gate. You must also remove obstacles from along the fence line that children can use to climb over, such as patio chairs, tables, gazebos, outdoor fireplaces, and grills. Of course when children are in the pool , make sure at least one adult is responsible for watching the kids at all times. It’s incredible important that you put child safety at the forefront of your mind when designing a swimming pool. Even if you don’t have children of your own, kids can easily wander onto your property and fall into your pool if proper safety measures aren’t in place. 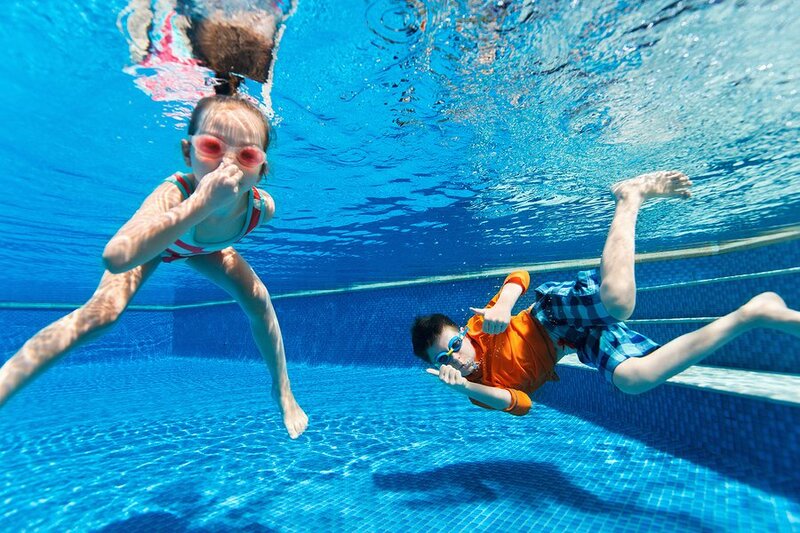 Talk to your Salt Lake City pool builder about safety features that can help keep kids safe.